Weekend Preview: NIMAA XC… and more! The local cross country season kicked off a few weeks ago in Armagh, with the inaugural TJ McElmeel Memorial Cup, and now this week we look forward to the traditional Northern Ireland Masters Athletics Association (NIMAA) XC at the Dub Playing Fields in Belfast. Out of the muck, there is also the popular Armagh 10 mile road race and several other races to look forward to. We’ll love at the Masters XC and the Armagh 10 as part of our preview; we’ll also list the other fixtures taking places over the course of the next few days. Traditionally, the NIMAA Masters XC kicks off the local cross country season and the popular event has added importance because of the fact that it’s a trial for the Northern Ireland for the annual British & Irish Masters International XC; this year, it takes place in Swansea, Wales. 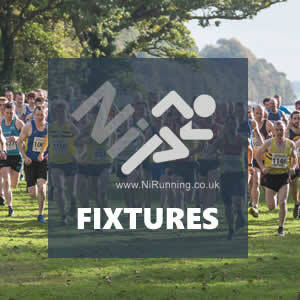 This year’s event, which takes place tomorrow (Saturday 13th October 2018), will also be the NIMAA XC Championships. In 2017, Allan Bogle (City of Derry AC) led the way in the competitive Men’s Vet35-Vet60 8k and the Spartan athlete should return this year. Despite racing sparingly throughout this year, he’ll play a major part in proceedings if he does start. Fellow North West men Declan Reed (City of Derry AC), who had an exceptional run at last week’s Cardiff Half Marathon, where he clocked 1:07:33, and the always impressive Chris McGuinness (Foyle Valley AC), could also be amongst the starters. Add the likes of Jonny Steede (Glens Runners), Martin Cox (Carmen Runners), Gary Henderson (Armagh AC), Darrell McKee (Acorns AC) and Andrew Considine (North Belfast Harriers) add excellent depth to the field, with all but Gary being in the Vet35 category. Looking further down the age categories, Wesley McDowell (Dromore AC), Neil Carty (North Belfast Harriers), Nigel McKibbin (Dromore AC), David Clarke (North Belfast Harriers), James Wallace (North Belfast Harriers), Noel Connor (Ballymena Runners) and James Turtle (Ballymena Runners) should secure their places on the team bound for Wales next month (November 2018). 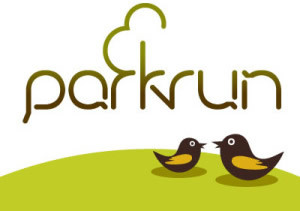 In the ladies 6k race, in-form Beechmount Harriers pair Catherine Diver and Gerrie Short should be in the mix. They could be joined by club mate Maria Morris, who was also part of their NI & Ulster Road Relays Masters Ladies winning team. Amy Bulman (Willowfield Harriers), who impressed at the TJ McElmeel XC, is a expected starter and should contest a podium place, as should Paula Worthington (Ballymena Runners), Ciara Toner (Springwell RC) and Natalie Hall (Armagh AC). Amanda Perry (Ballydrain Harriers), Jackie McMonagle (City of Derry AC), Debbie Matchett (Ballydrain Harriers), Jodie Smith (North Down AC), Karen Wilton (Jog Lisburn RC) and Geraldine Quigley (Ballymena Runners) will all place well and on doing so, should make the team for their age groups. The Vet65+ Men will also cover the same 6k course as the ladies – Newcastle AC’s World Mountain Running Champion Jim Patterson may make a welcome return to competition and should be joined by familiar faces such as Terry Eakin (North Down AC), Brian Todd (Orangegrove AC) and Malcolm McCausland (Derry Track Club), amongst others. On Sunday 14th October 2018, hundreds of athletes are expected to turn out for the annual Armagh 10 mile road race in Armagh. The popular and well organised event has been used in the past as a final outing for those doing the Dublin City Marathon; that should again be the case for some. Reigning Champion Eoghan Totten (Newcastle AC) represented Northern Ireland at last week’s Commonwealth Half Marathon Championships in Cardiff – it is therefore uncertain as to whether he will compete here. If he does start, the rising star will again face Paddy Hamilton (Slieve Gullion Runners), the man he edged out for the win twelve months ago. Then, Eoghan ran 50:32, with Paddy following in 51:35. Should Eoghan give this one a miss, it will be local man Paddy who starts as favourite. 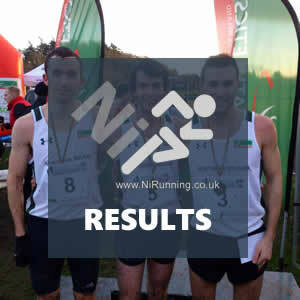 Other podium contenders in the men’s race will include Pierce McCullagh (Sperrin Harriers), Chris Devine (Newry City Runners) and Gary Henderson (Armagh AC), who could race twice in as many days following his expected involvement in the NIMAA XC. Before looking to the XC season, QUB AC star Emma Mitchell may bring an immensely successful road and track season to a close with a run out in the ladies race. Last weekend, Emma starred as her QUB AC team sealed gold at the NI & Ulster Road Relay Championships. The host club’s Niamh Donnelly (Armagh AC), 1Zero1 athlete Tara Malone and Clones AC’s Donna Evans may also compete. North East Runners’ Laura Matthews and Kana Akimoto, who both claimed top ten places here last year, could also return.